This Hippocampus bargabanti pygmy seahorse is about the size of a grain of rice. 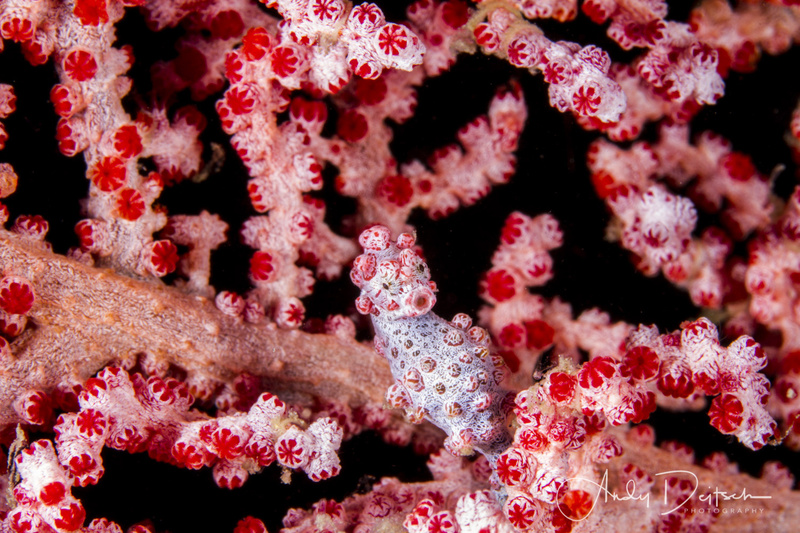 Pygmy seahorses live on a single seafan their entire lives. They take on the coloration of the seafan that they live on. They are incredibly difficult to find.